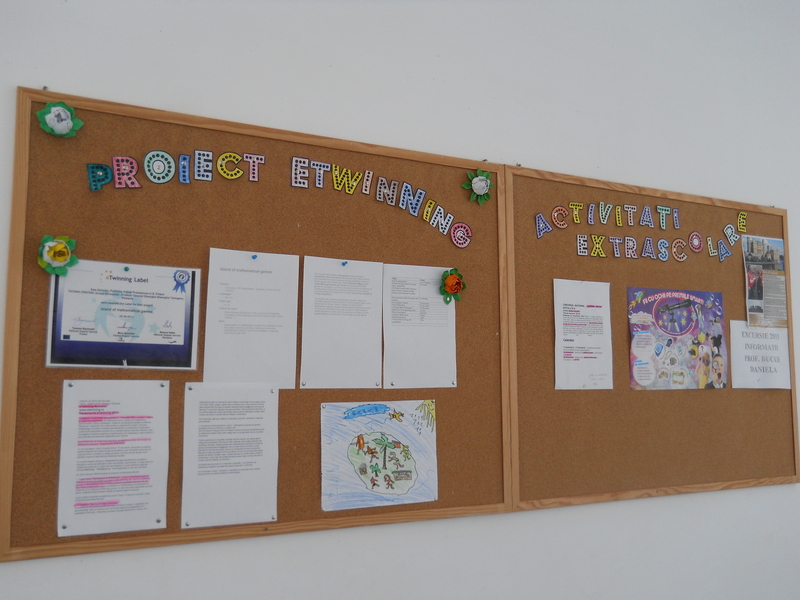 Despre eTwinning –Acţiunea eTwinning face parte din Programul Lifelong Learning al Comisiei Europene, fiind măsură acompaniatoare pentru Programul Sectorial Comenius. popularization of mathematics increase the motivation to learn the subject, allow for success in learning mathematics developing the ability to use their knowledge in creatively, Learning through play . To know each other better in September we could create a presentation about our school. Moreover we can make a visiting-card (teachers form pairs of students taking a student’s number in school register into consideration). From October to May we will create Maths games(one per month). We should place these games into Twinspace , print them and play. Furthermore teachers on moodle platform paste links to favourite students computer games (involving addition and substraction to 20. In June we may prepare a virtual competition . The project aims to enhance mathematics education classes to stimulate creative thinking of students. A very important aspect is the involvement of children, which in addition to math skills by participating in games and game development will become proficient in the use of information technology: will look for useful websites, create documents in Word, learn the generator to create computer games class tools. net and learn how to create your own games. Sunt mandra ca am putut participa la realizarea acestui panou . Sunt mandra ca sunt o eleva a scolii Gimnaziale Gheorghe Gheorghiu.Sunt mandra de scoala mea si mereu voi fi.